I can not believe this year is half over already. Can anyone tell me exactly where the time has gone?? 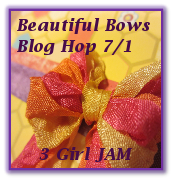 Today I have been playing with tons of summery papers and the fabulous 3 Girl JAM "Sterling" crinkle ribbon to make a cute little bow. I colored the Simply Betty Stamps crafty girl with some Tim Holtz distress markers, added some Liquid Pearls and home made Dew Drops. The sentiment is from K Andrew Designs "Crafty Friends" stamp set. 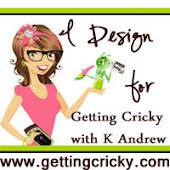 Today my Crafty DT sis Heather and I are featuring K Andrew Designs "Crafty Friends" stamp set. If you would like to find out more about this set just click the pic. For my first project I colored up my "Crafty Friend" Ariel from SBS in one of my favorite colors. I added some "Hot Chocolate" crinkle ribbon from 3 Girl JAM. Topped it all off with a sentiment from today's featured stamp set and I think it turned out fantastic. 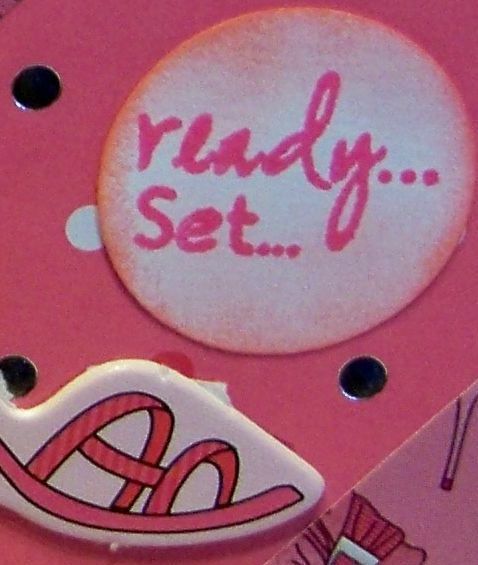 Here is a peek at my other projects I created with this crafty stamp set. 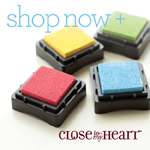 You can check them out at Getting Cricky and also see what Heather has in store for you. Today at Getting Cricky we are Owl crazy. Christel and I are showcasing the 3 Hoot-a-rific stamp sets all about the Owl. Click on the pics above to find out more info on these Owlsome stamp sets. I used all thre sets on my projects today and they turned out so cute. If you would like to see my other 2 projects head over to Getting Cricky to check them out but here is a sneek peek to temp you. 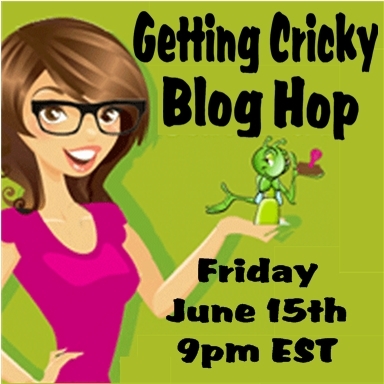 Welcome to the Getting Cricky "Get Wild" Blog Hop. This is such a special hop because we have some really special guest designers that have joined us. I am absolutely loving their imagination. 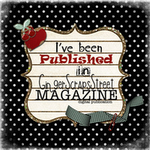 We would love for you to visit each of our DT Sisters Blogs and leave lots of encouragment for all their crafty helpers along the way. If my sweet dt sister Patti sent you over to visit Bryce, Kylie and me then you are in the right place!! If you are just joining us from your dashboard, or reading this via email, please be sure to start at the beginning with Kristal's blog because you do not want to miss any of the talent these kids are displaying. Here are my "Wild Animals"
My grands have been with their dad for 2 weeks and just came home last night so they were not here to help out but they are still joining us for the hop. This is a picture frame made out of popsicle sticks. The picture is of their first day of school. If you would like to add this set to your stash just click the pic. Your next stop on the hop is the awesome and oh so creative Patty and her equally talented neice Briana. 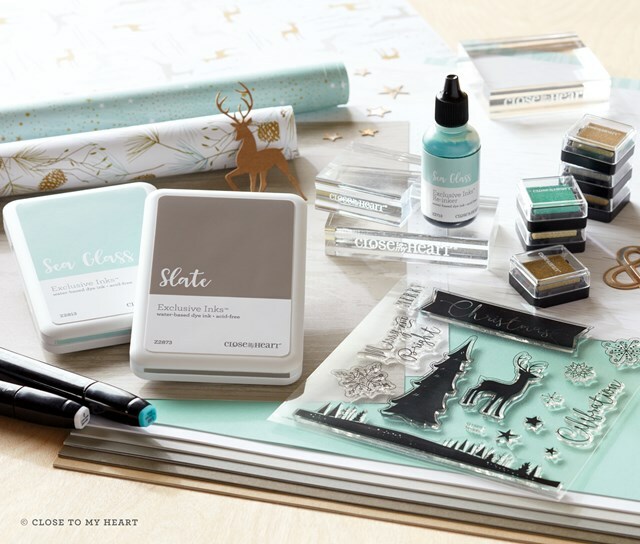 We are featuring the K Andrew Designs "I Heart You" stamp set today. Last week for the 3 Girl JAM blog hop I made a Bargello Flag card and Kristal, our fearless leader, from Getting Cricky asked if I could make a tutorial so of course I jumped at the chance. 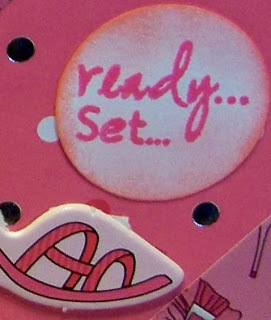 Here is a sneek peek at my other project using the "I Heart You" stamp set. You can see the complete project over at Getting Cricky. You will also see the awesome creations of Diana Lynn Martin while you are there. 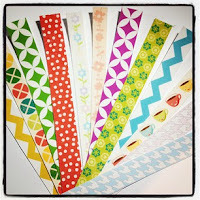 If you would like to add this stamp set or crinkle ribbon to your crafty stash just click on the pics below to make it so. Hey there, Hi there, Ho there. Today I am filling in for Zeni over at 3 Girl JAM. 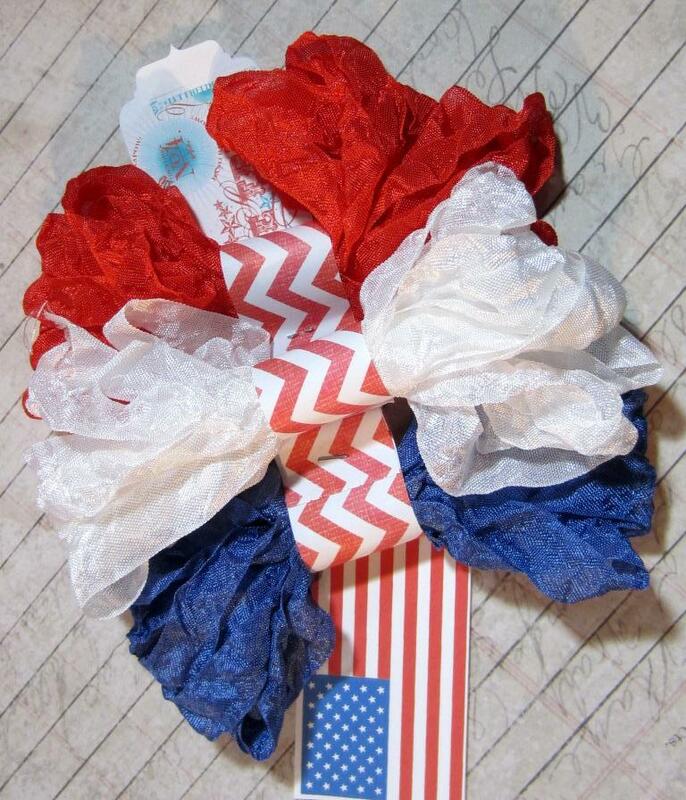 I hope you all have enjoyed the Red, White and Blue blog hop this week. Everyone really rocked the new bundle with some truly amazing creativity. Working with this bundle has been so much fun and I just couldn't stop creating with it. Hopefully the store will have some left when I get paid. So for my project today I used the White crinkle ribbon from the Red, White and Blue bundle to make this cute spinner card. Welcome to a new Getting Cricky "Simply Sunday" challenge and I hope you all are having a very blessed day today. 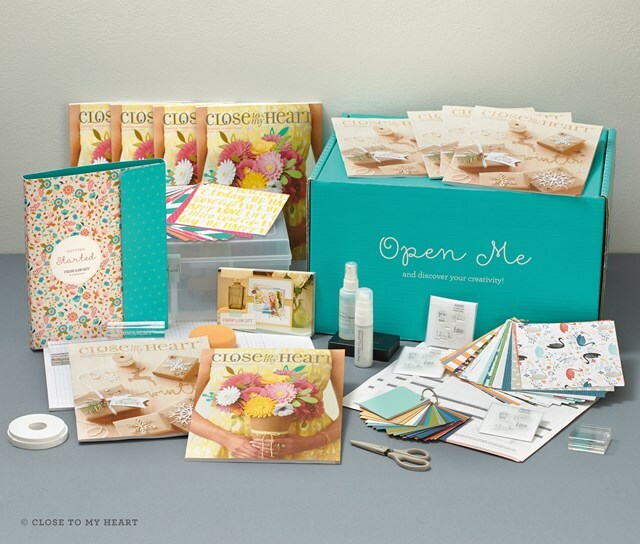 This month's challenge is to create a project with a "Summertime" theme. It can be a card, layout, 3D, altered project or anything else you can think of just as long as it is about summertime. For today's project I used that sweet new cartridge and his adorable little face is from the PKS Simple Simon assortment. If you live near the beach (wish I did) summertime would be all about surfing. I spent the summer after graduation in California and never wanted to leave the beach. We did a lot of body surfing but I never had the nerve to actually get up on my feet. 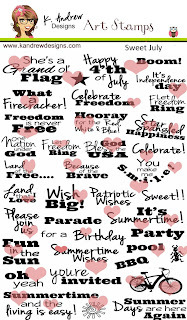 If you would like to make this stamp set your own just click the pic. You should also check out the other awesome new releases in the store. "Even More Food for Thought"
Be sure to head over to Getting Cricky and see all the amazing creations my fellow DT sisters have made. While you are there go ahead and link up your projects.